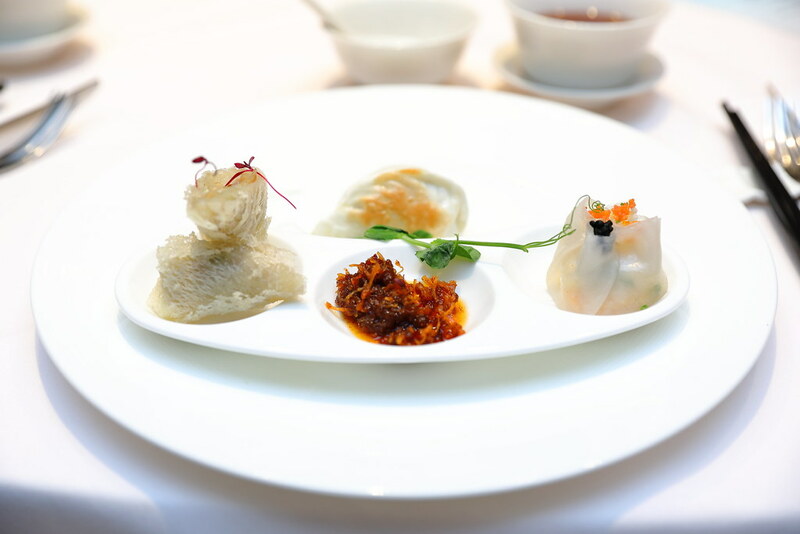 Wan Hao Chinese Restaurant at Marriott Singapore has put together a seasonal menu of various crab creations, starring the famed Sri Lankan crab which is known for its meaty body and sweet flavours. 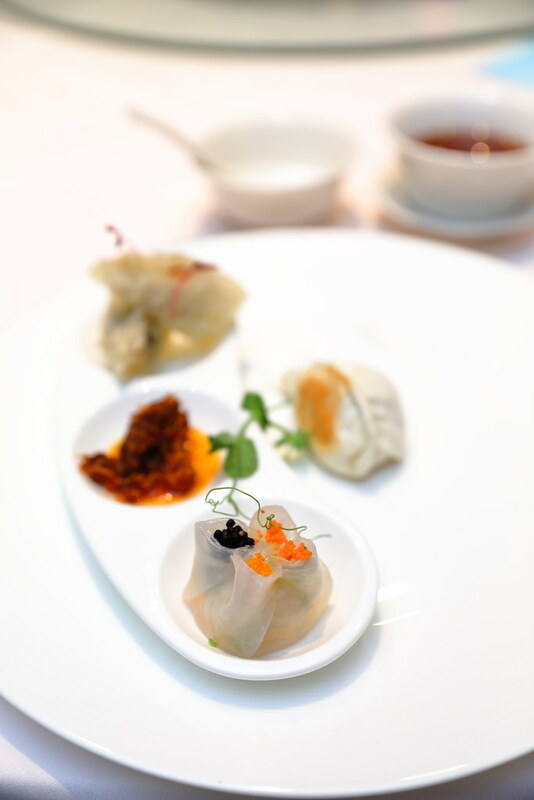 Only available from 2 October to 30 November 2018, you get to select from dim sums to a la carte specialties to set menus, with each dish showcasing the versatility of this delicate crustacean. From the Dim Sum menu, we tried Steamed Four-season Crab Meat Dumpling, 四季蟹肉饺 ($8 per 2 pieces), Pan-fried Crab Meat & Pork Bun, 青葱蟹肉香煎包 ($8 per 2 pieces) and Deep-fried Netted Rice Roll with Crab Meat & Prawn, 银网双鲜卷 ($10 per 2 pieces). I enjoyed the dumpling the most, partly because I was surprised by the juice that squirt out as I sank my teeth into it. The filling was sweet with the crab meat. I was disappointed with the pan fried bun as it lacks the grease that would otherwise give it that flavourful crispy bottom, while the rice roll was a tad too greasy for me and I couldn't quite detect the crab meat buried within. 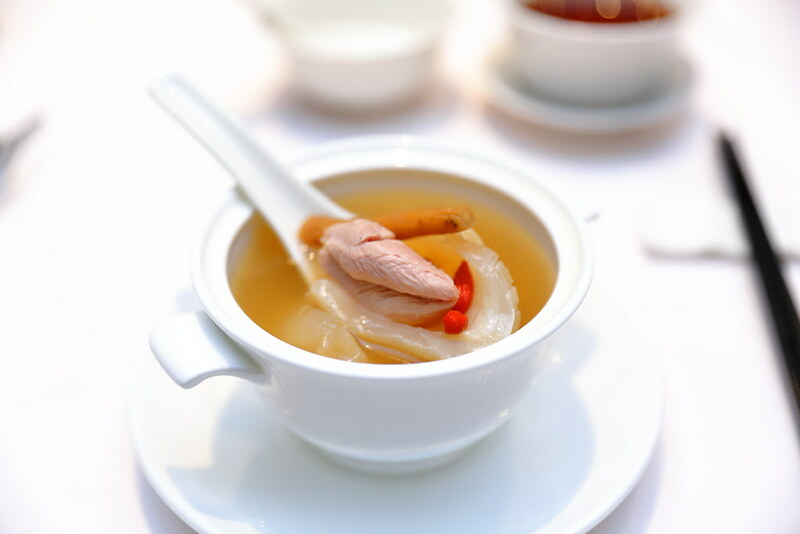 The Conch & Codonopsis Pilosula Chicken Soup with Double-boiled Fish Maw, 党参响螺炖花胶 makes it worthwhile for the set menu. The fish maw is of high quality, which is evident from its thickness and texture. Feeling the stickiness that traces your lips and you know you are deeply nourished by this bowl of superior soup. 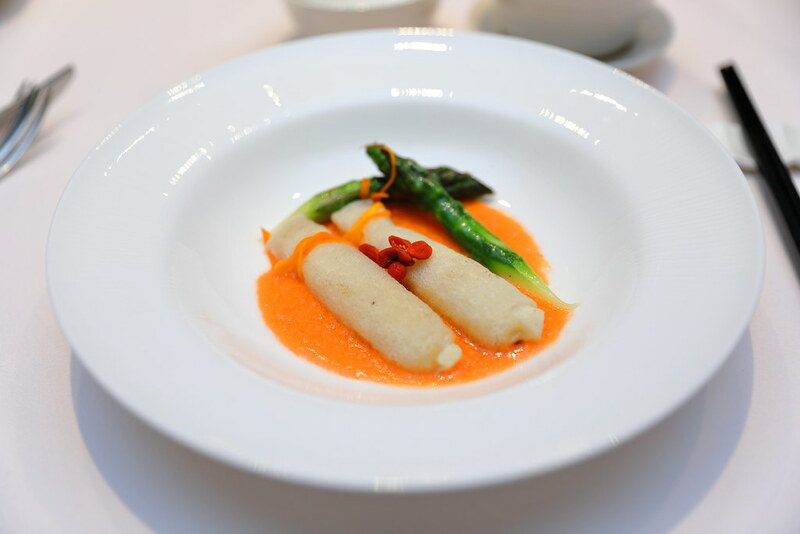 From the Set Menus, we tried Sauteed Asparagus with Crab Meat in Crab Roe Sauce, 双蟹芦笋竹笙卷. The highlight of this dish is more of the beautifully treated bamboo pith, that tasted really clean with a light crunch, rather than the crabmeat cocooned within it. The plating was aesthetically pleasing but overall I find this dish a bit too bland. 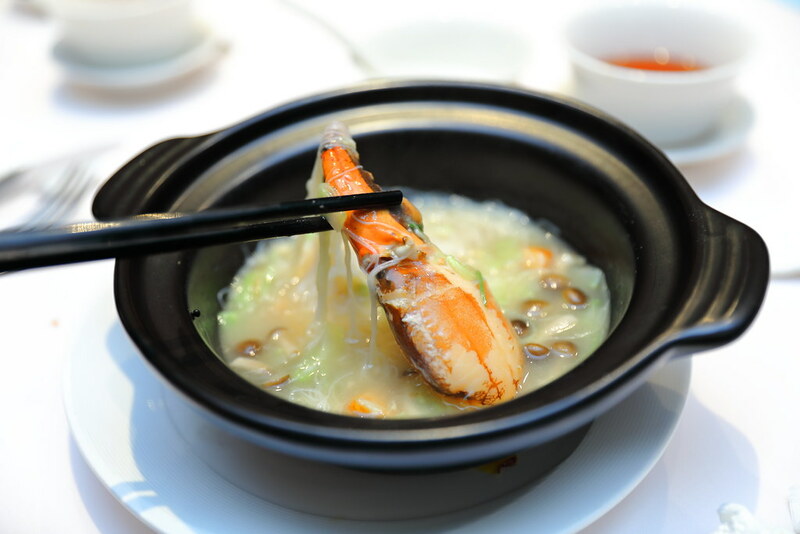 The set menu also offers Braised Crab Claw with White Pepper Heng-Hua Vermicelli, 白胡椒蟹钳银粉煲. Though some love the heat and the flavour of the white pepper, personally, I find the strong peppery broth too harsh on the delicate crab meat, as well as on my throat. Braising the crab claw seems to have drawn out its sweetness and juice too. 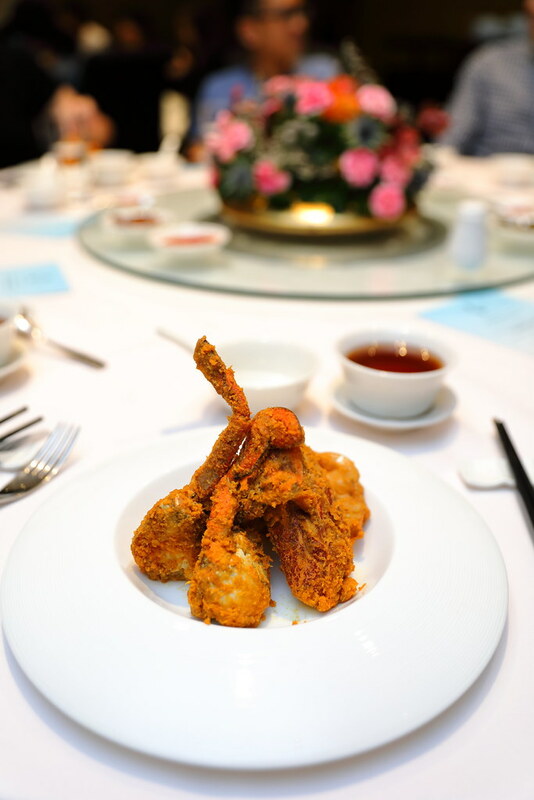 Crabs, best to be enjoyed with hands and it is double the satisfaction with the a la carte Deep-fried Sri Lankan Crab with Spiced Chicken Floss, 风味肉松斯里兰卡蟹 ($50 per portion). A specially concocted chicken floss coating (with the secret ingredient salted egg yolk, curry powder etc), the exterior of the crabs was really moreish. 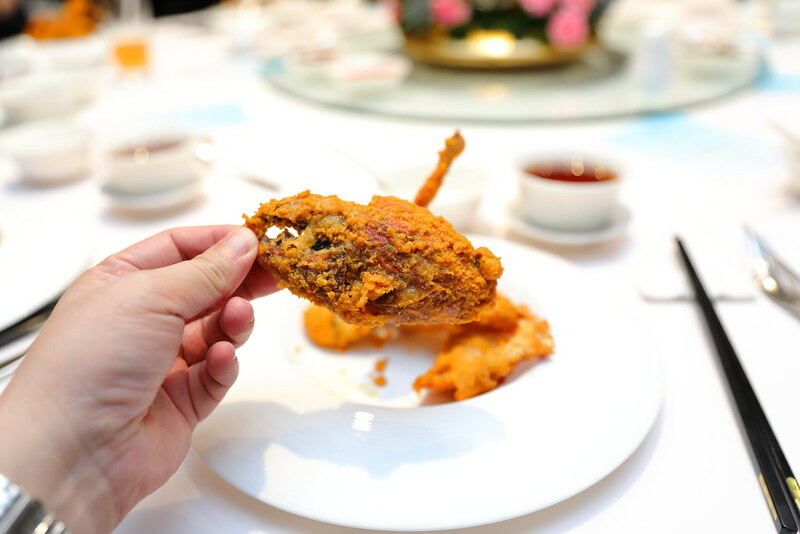 Deep-frying helps to seal in the juice of the meat and the savory floss brings out the delicate sweetness of the meat. It was no wonder a moment of silence blanket the room as each of us tuck into our plate of this delicacy. Even though hairy crabs are in season, Sri Lankan Crab is still the winner with its succulent meat. The best way to enjoy it, is really to get your hands covered with all the savoury and sweet chicken floss!